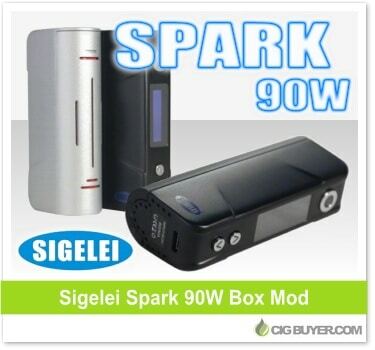 The Sigelei Spark 90W Box Mod is a compact temperature control device offering a sleek, ergonomic design with up to 90W of output power. It’s compatible with both nickel and titanium coils, with a temperature control range from 212 to 572F and a minimum resistance of 0.1 ohms. Powered by a single 18650 battery, the Spark Mod features a dual magnetized battery door with a stylish inlay pattern that doubles as a battery vent. One of the most unique features is its quadrant based OLED screen that neatly displays multiple device readings in one convenient location.